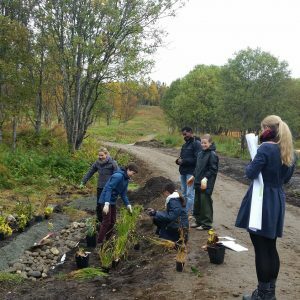 Lo:Le: The project demonstrates how landscape architecture through instrumental programming, strategic location, integrated participatory process and high design ambitions can produce spaces that really bring people together and promote public health. 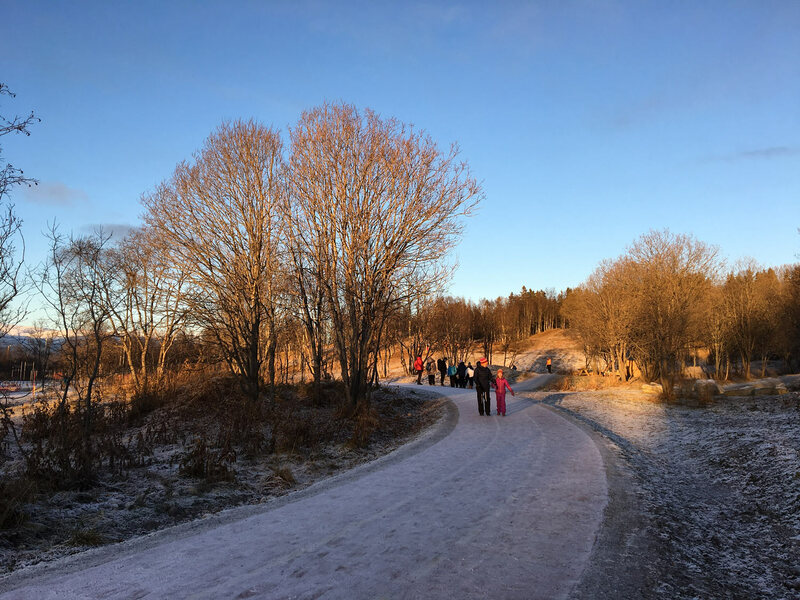 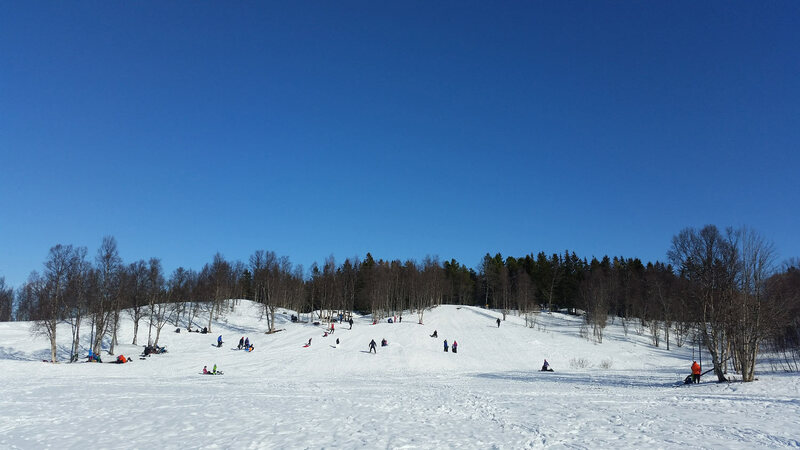 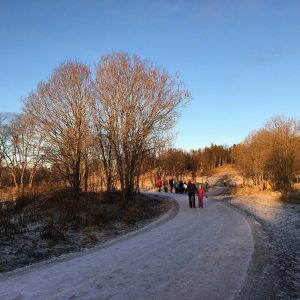 Charlottenlund park proves a rare seasonal performance – the park is equally lively and populated in winter as in summer. 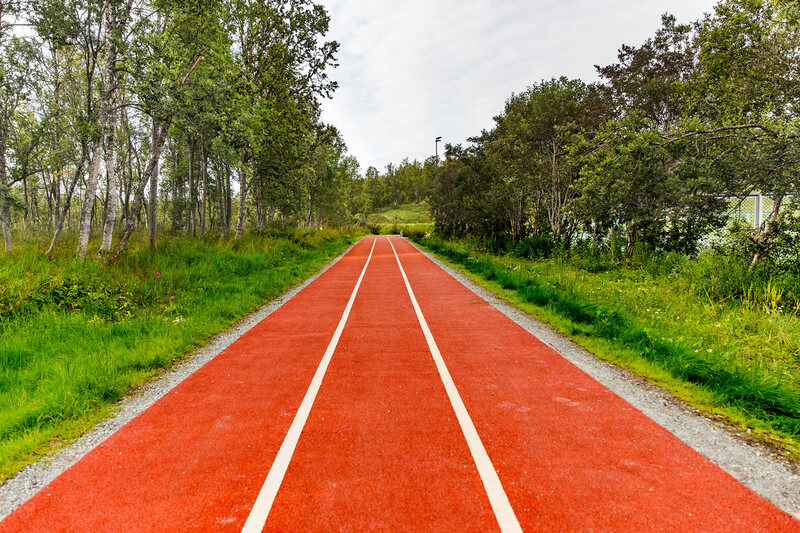 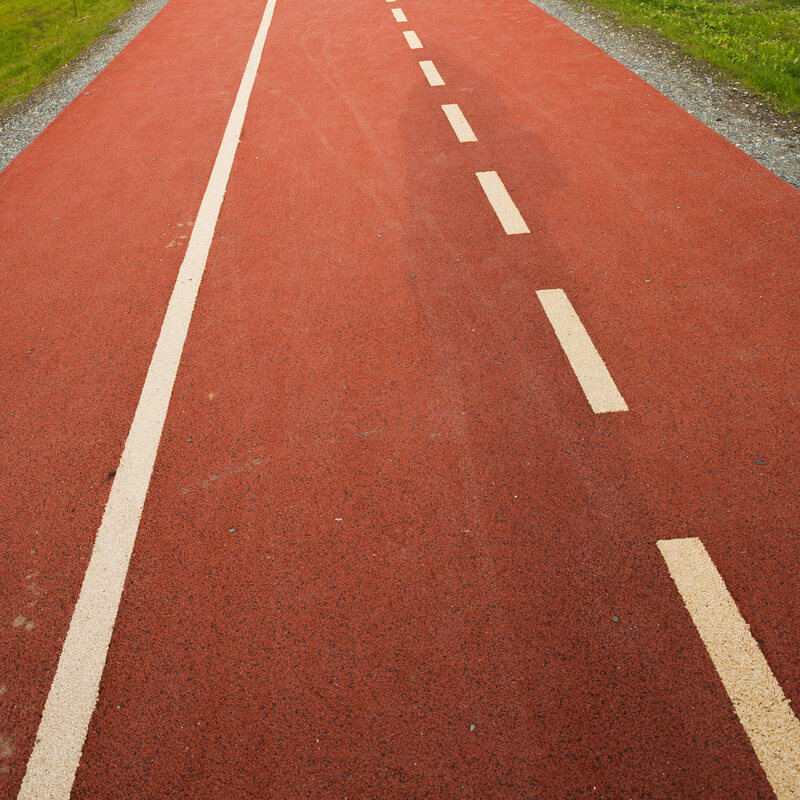 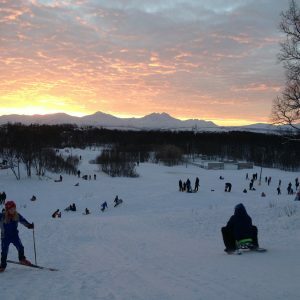 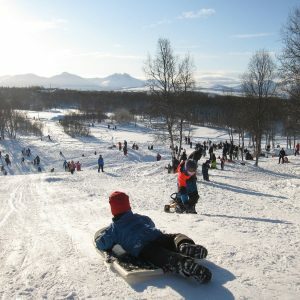 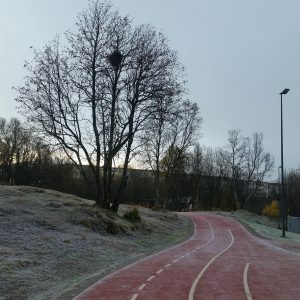 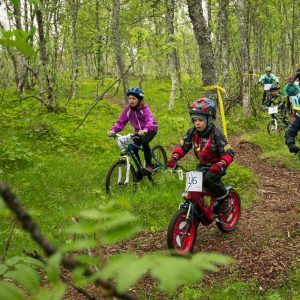 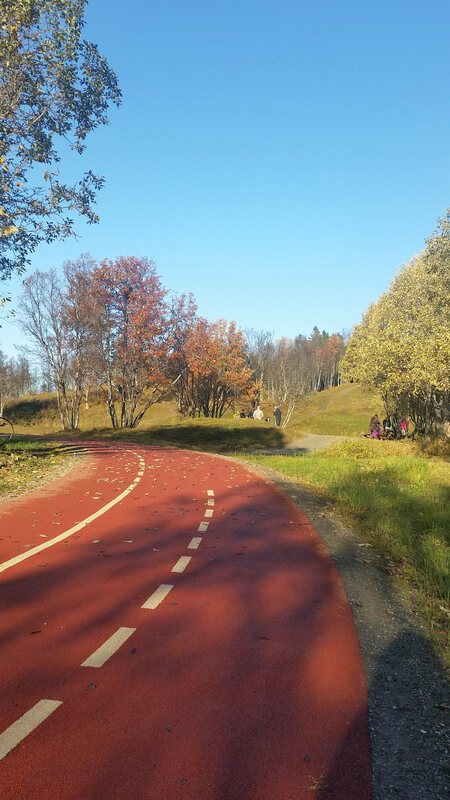 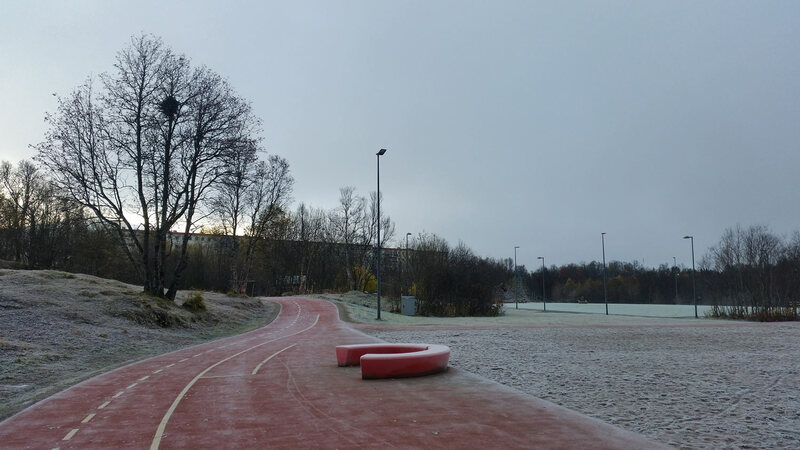 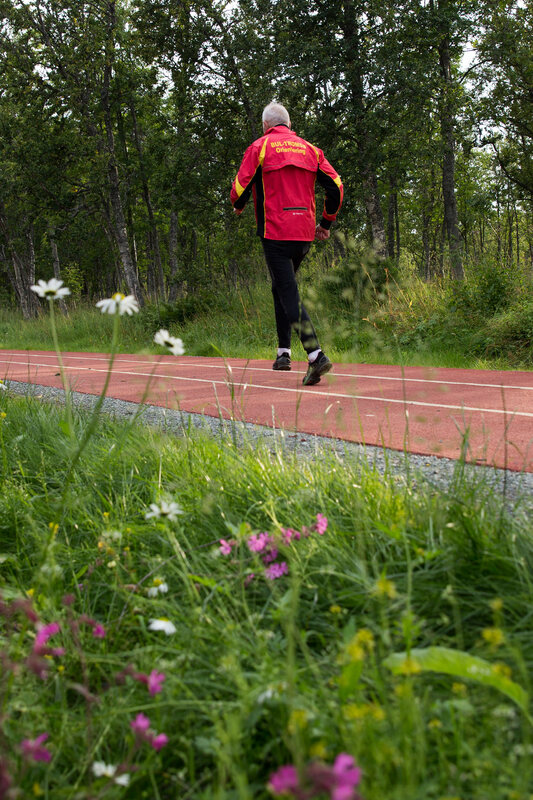 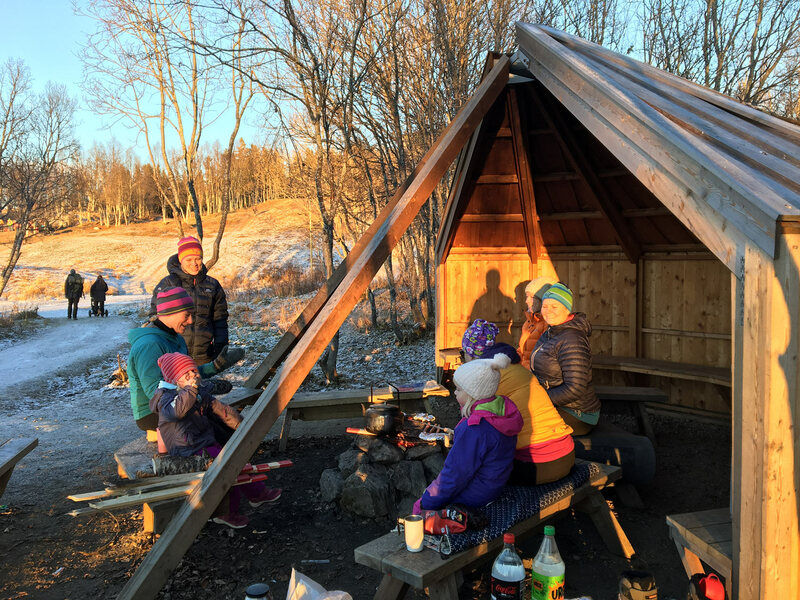 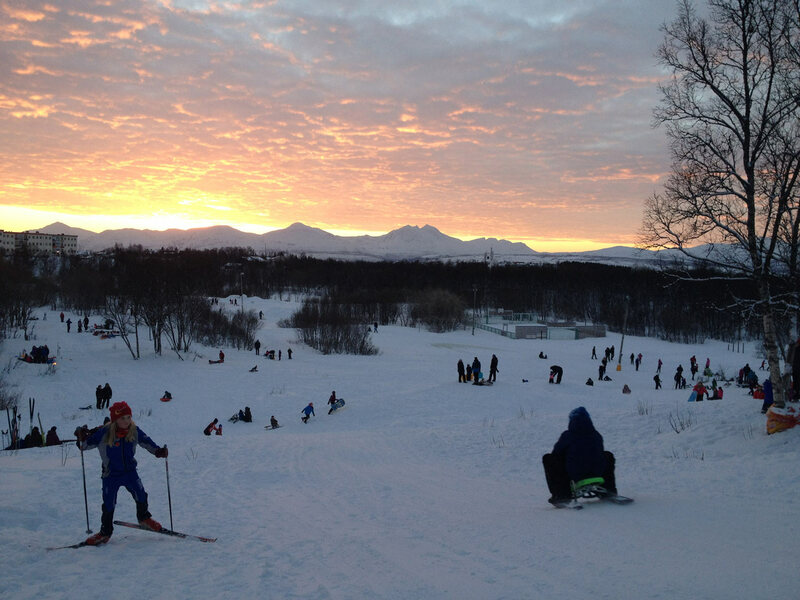 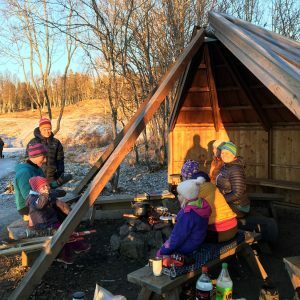 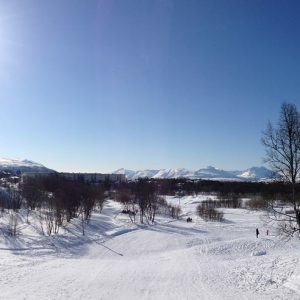 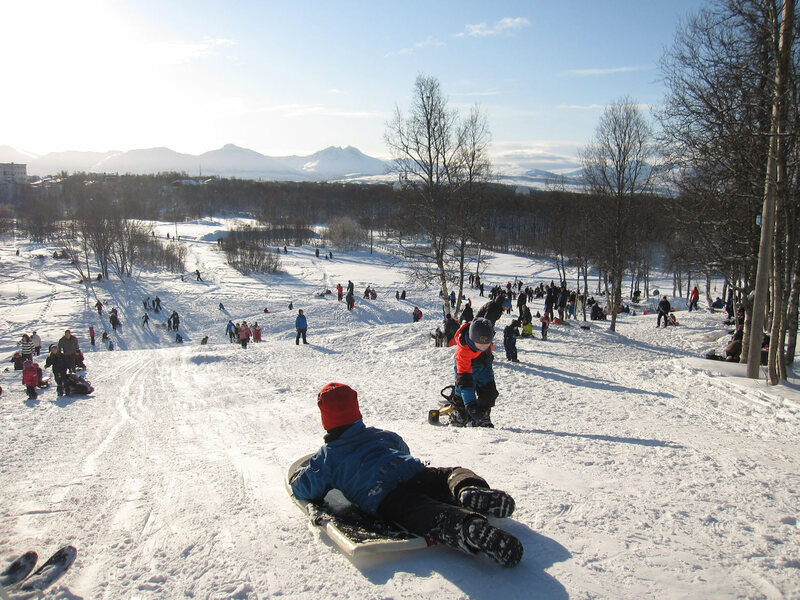 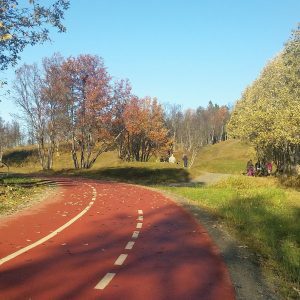 Tromsø municipality has with this project focused on public health through facilitating a wide range of activities in an area accessible to most citizens of Tromsø without having to drive. 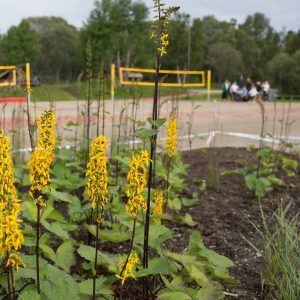 There has been emphasis on creating an accessible and aesthetically attractive park that promotes social interactions and physical activity. 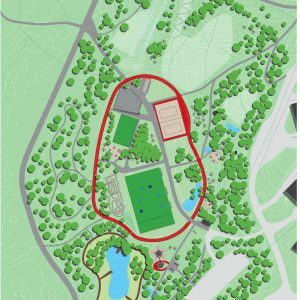 The park also holds a strategic potential to serve as a gate opening a wider range of possibilities in the forest that extends out from the park thus extending the public health contribution. 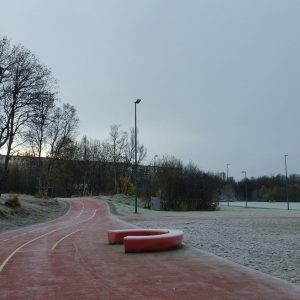 The light trail that runs along the top of the Tromsø island as a soft infrastructure for skiing, cycling, and walking from residential areas to large work-places such as the university and the regional hospital also passes by the park connecting it to a more extensive recreational network. 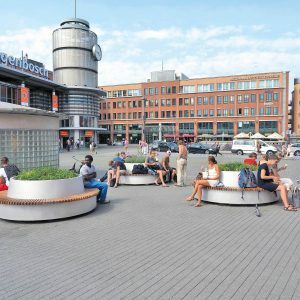 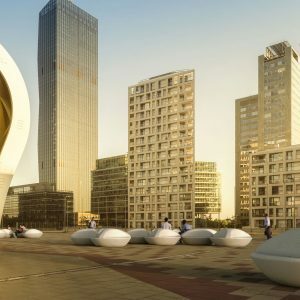 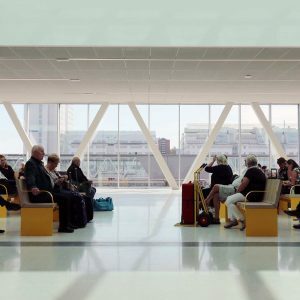 The project has, in addition to the many activities, emphasized the overall aesthetic quality and location identity to ensure it will also be a great place to just socialize and meet. 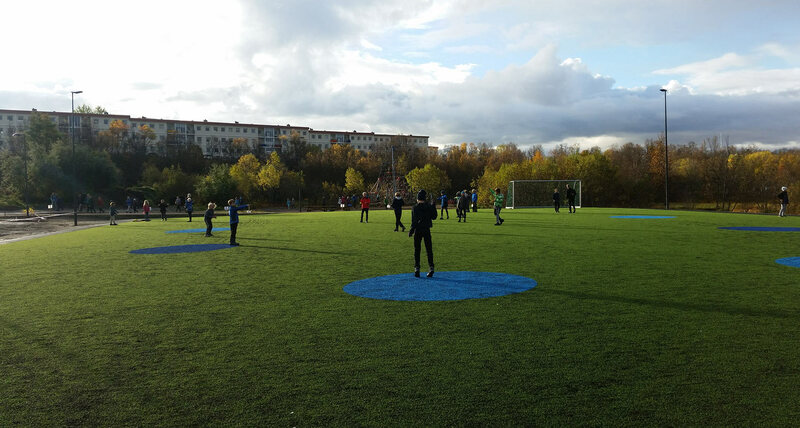 Facilitating spontaneous informal activity has been a priority to include those who do not feel at home in the organized sports. 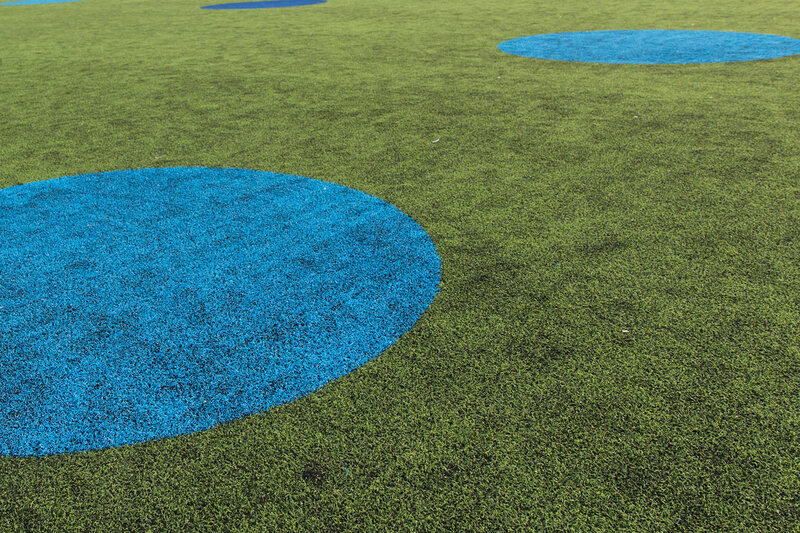 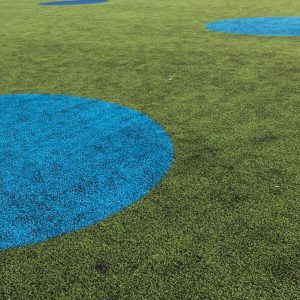 This is the reason the artificial grass field has blue dots rather than markings for football – the design actively seeks to encourage alternative uses. 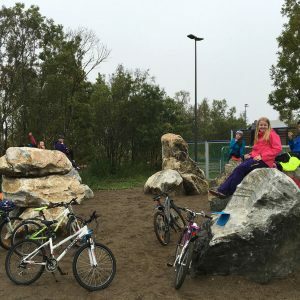 The project has also made sure to include less competitive activities such as climbing and cycling, as this is documented to be important to increase physical activity especially among girls. 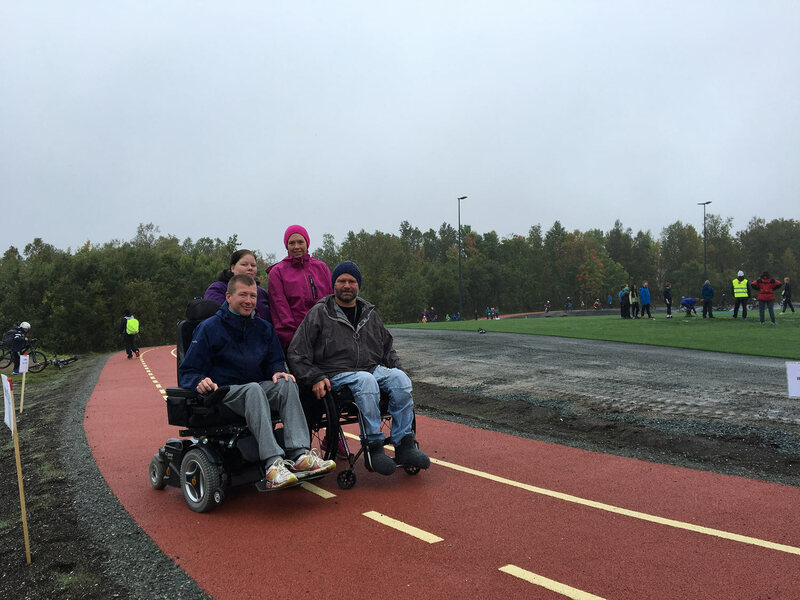 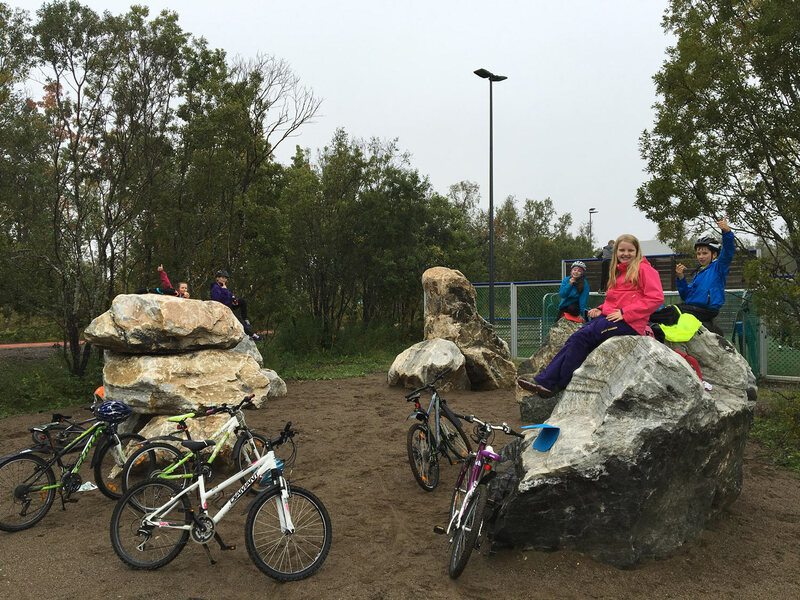 This inclusive programming seems a success – an increasing number of people visit the park and all ages and abilities are represented. 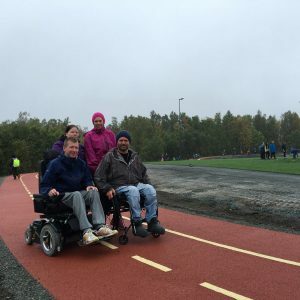 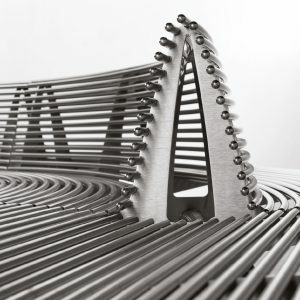 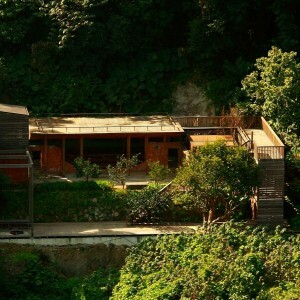 The project demonstrates sustainability and inclusive design in several ways. 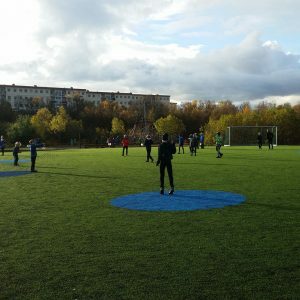 A great number of users have been involved in the design phase, both through an open Facebook page, meetings with users, voluntary work etc. 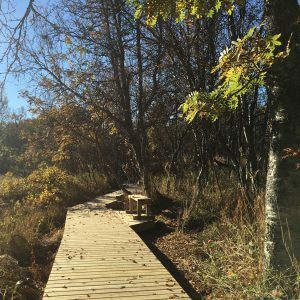 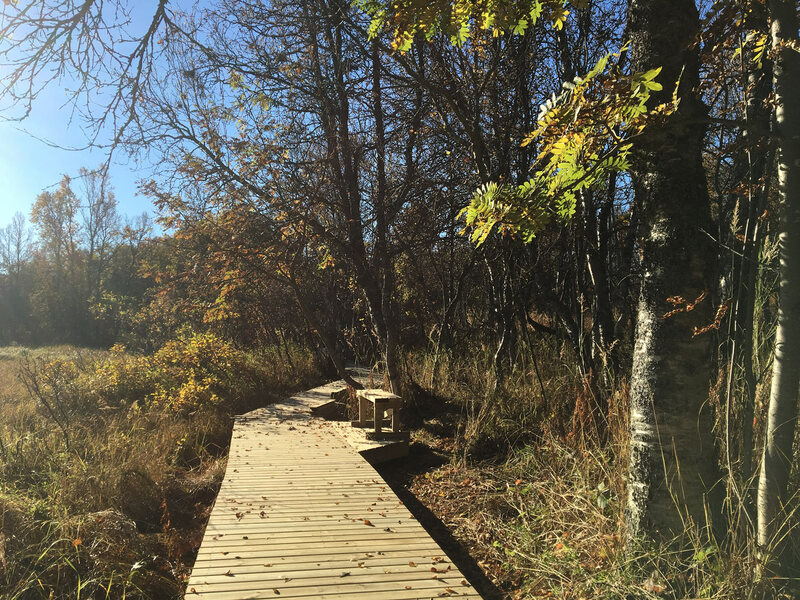 The building process itself also involved social work/community projects such as the Sør-Tromsøya community service for teens that built the wood path around the pond. 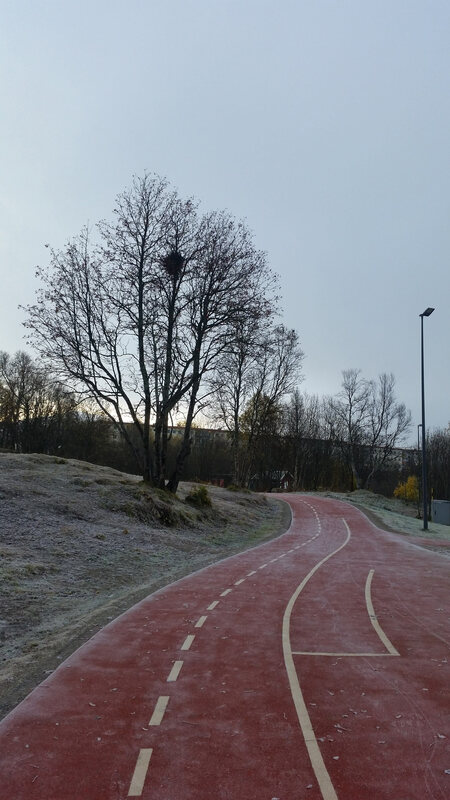 Through the design process there was also a continuous dialogue with the Norwegian Handicap Association leading to special adjustments such as the cast rubber cover around the climbing tower. 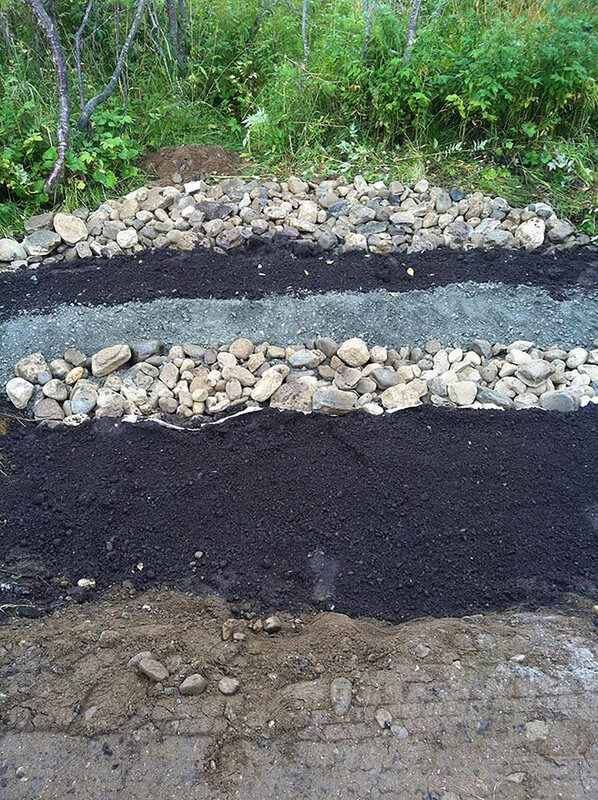 The project had limited finances and has worked actively to maximise his throughout the process. 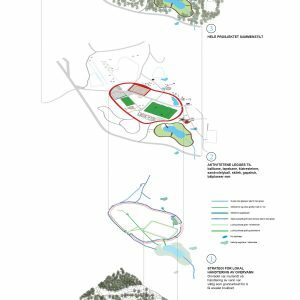 There has been a joint effort in the project team to find rational, economical solutions without compromising important qualities. 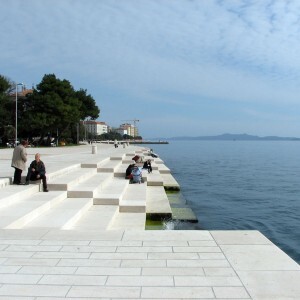 The project has emphasized the use of local actors as far as possible – from design to execution and delivery of materials. 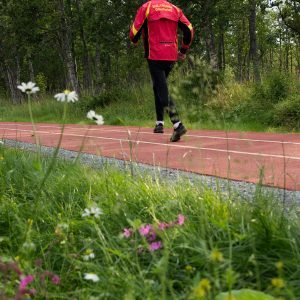 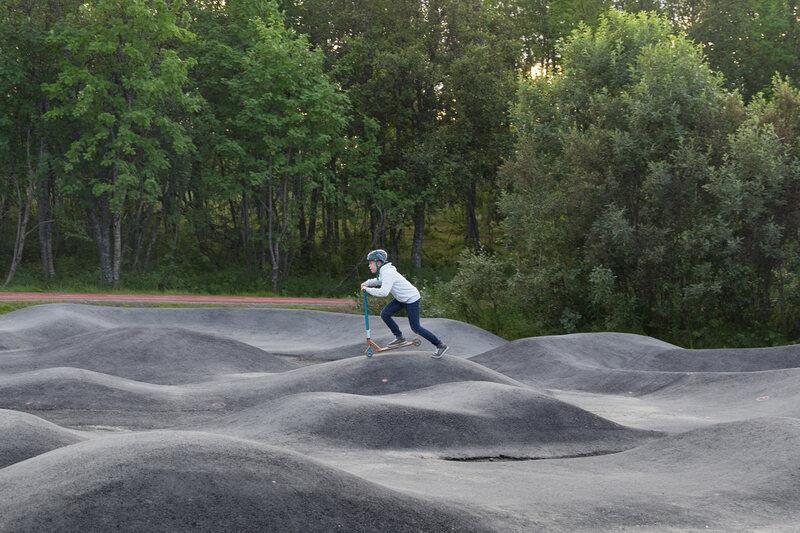 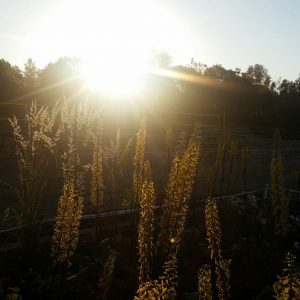 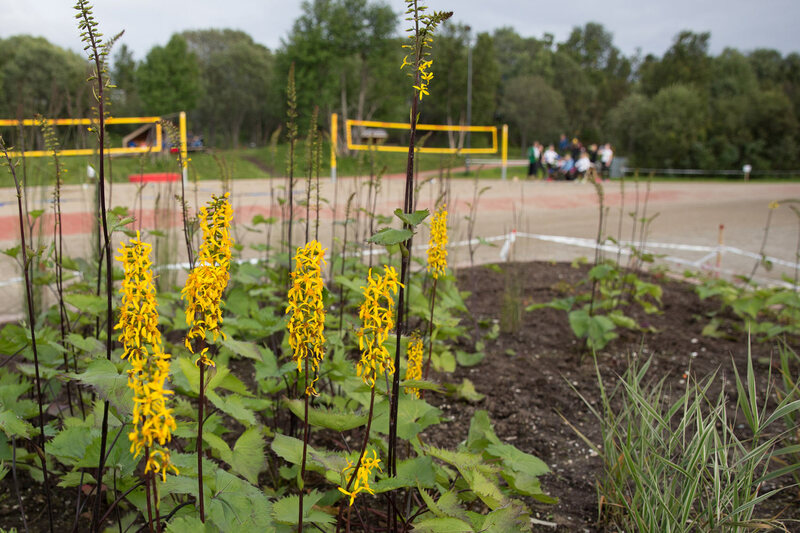 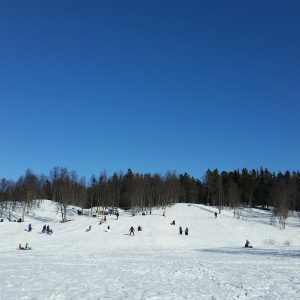 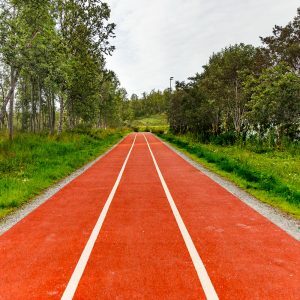 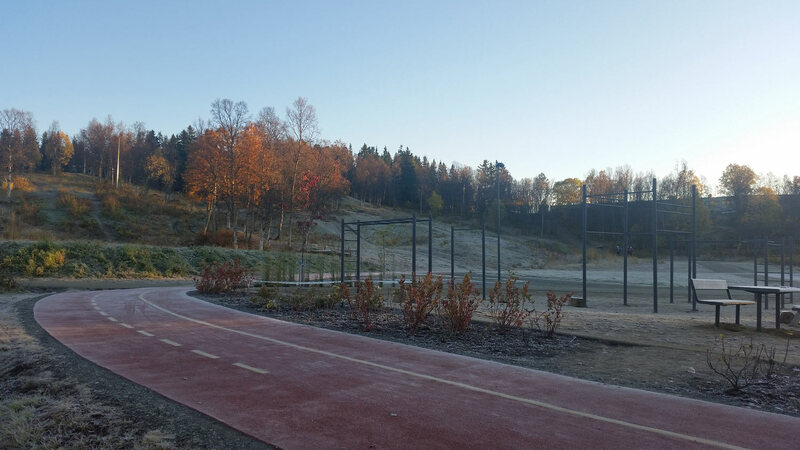 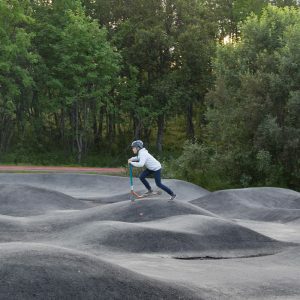 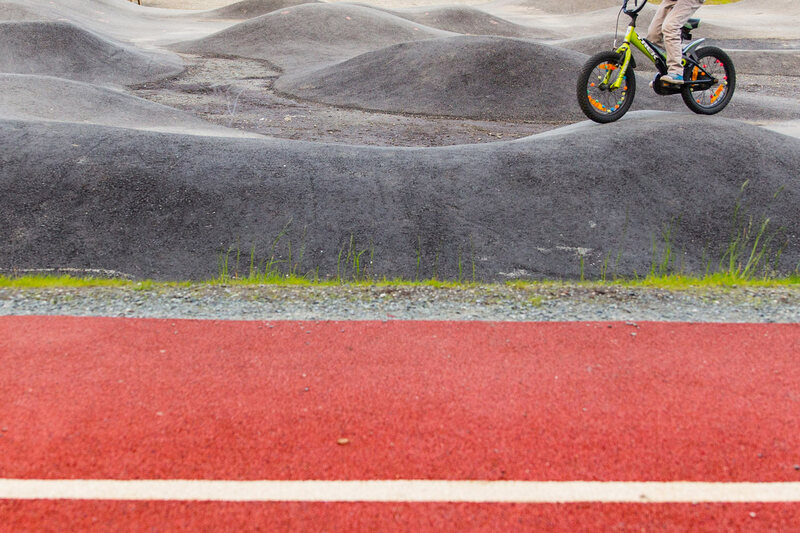 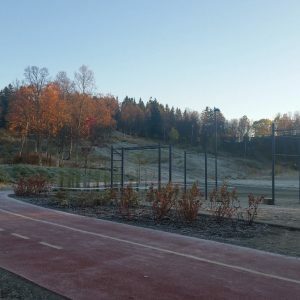 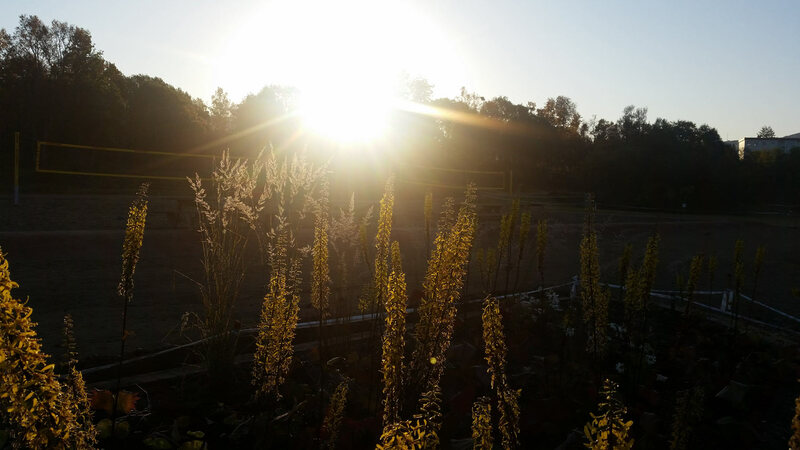 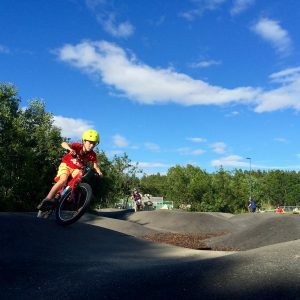 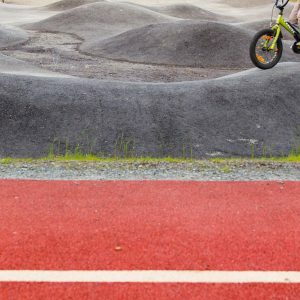 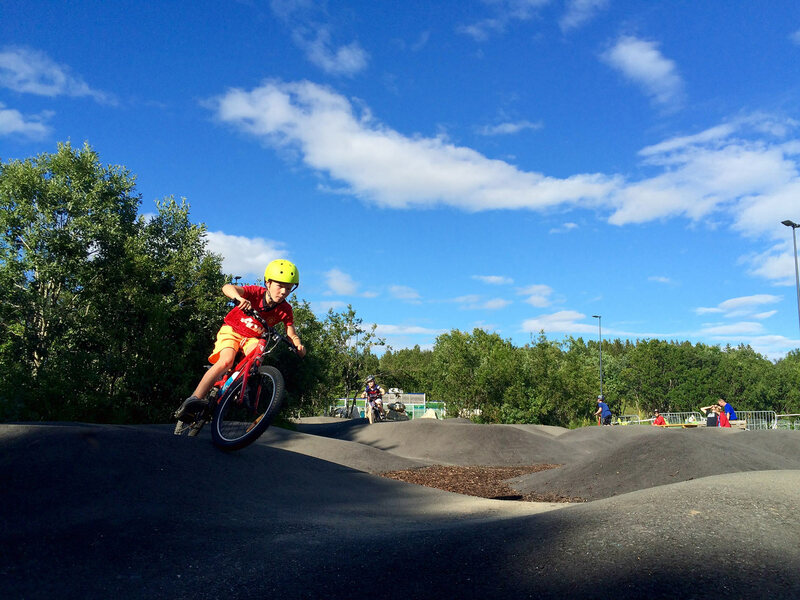 Charlottenlund park has focused on performing throughout the whole year – all seasons – with facilities ranging from new ski jumps/sledding areas and ice rink for the winter season to Frisbee golf, walkways, sand volleyball, etc. 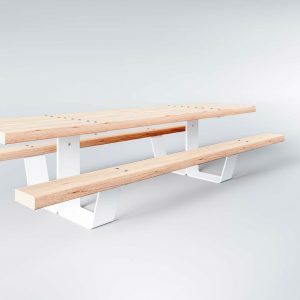 for the summer season. 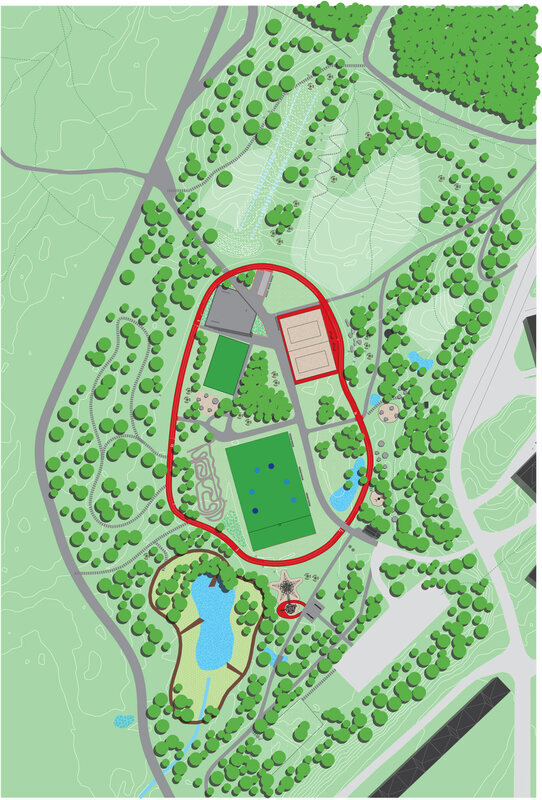 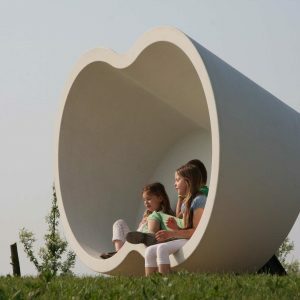 The park also offers seating areas with shelter for different wind directions, bonfire sites and covered huts. 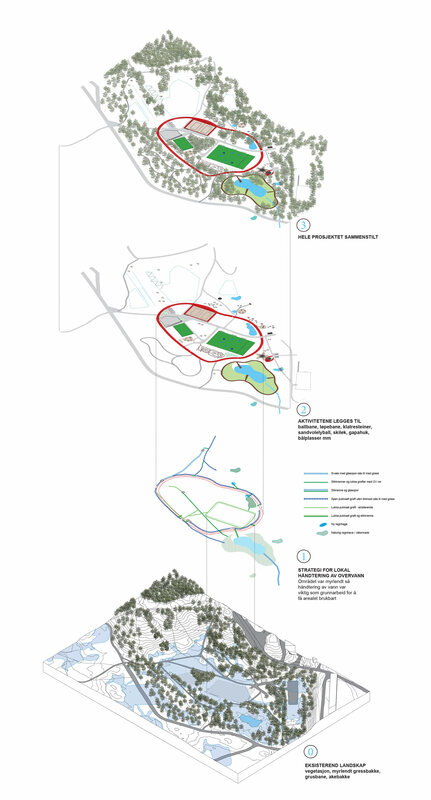 Working with and playing along with the site as a resource was the chosen strategy from the onset – The red runway is bent away from precious trees and curves in soft hills and bumps to avoid blasting away natural rock. 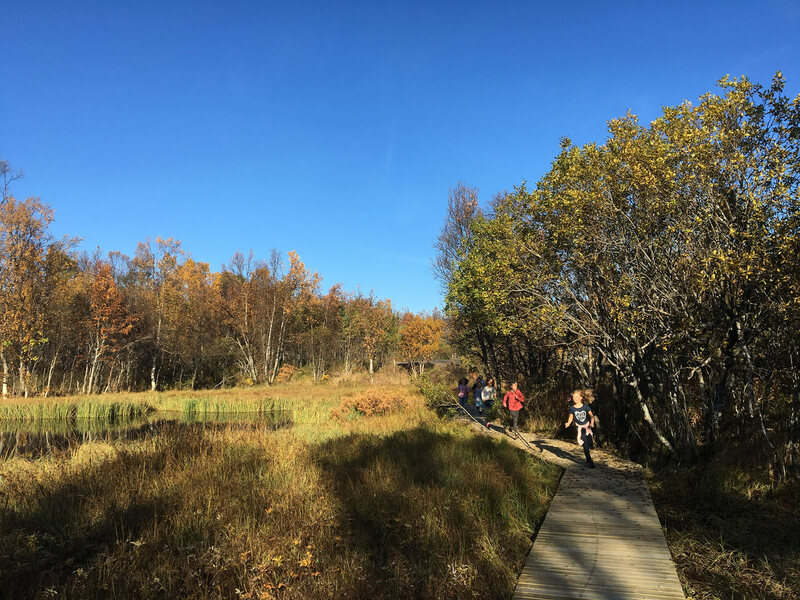 The area is also a large catchment area and was a marsh before the project was launched – all storm water is managed locally, retained, and led to natural recipients; a pond to the south of the activity area. 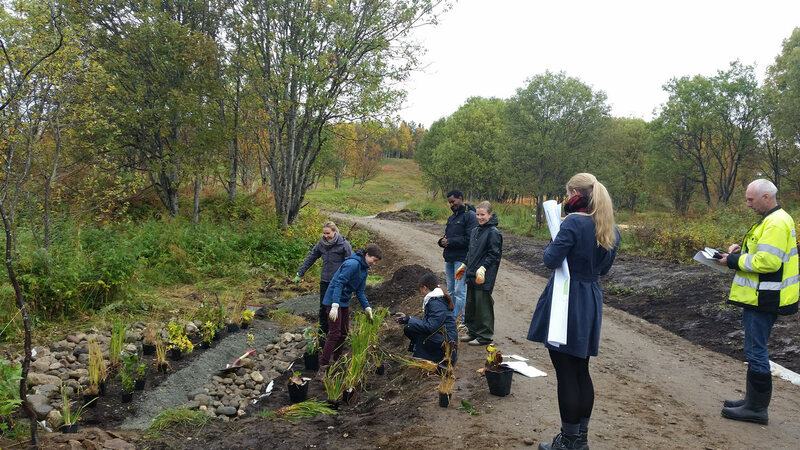 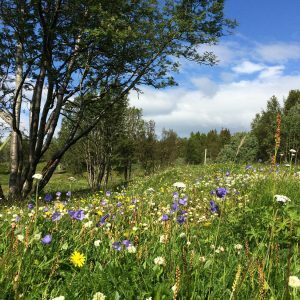 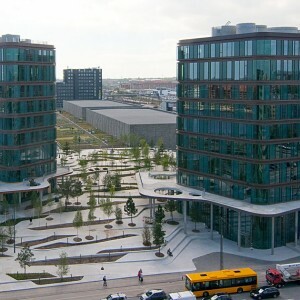 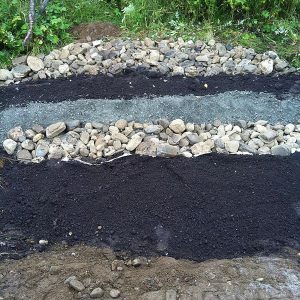 2 rain gardens have been constructed as pilot projects for cold-climate LOD in cooperation with Tromsø Municipality VA and Tromsø Academy of Landscape and Territorial Studies. 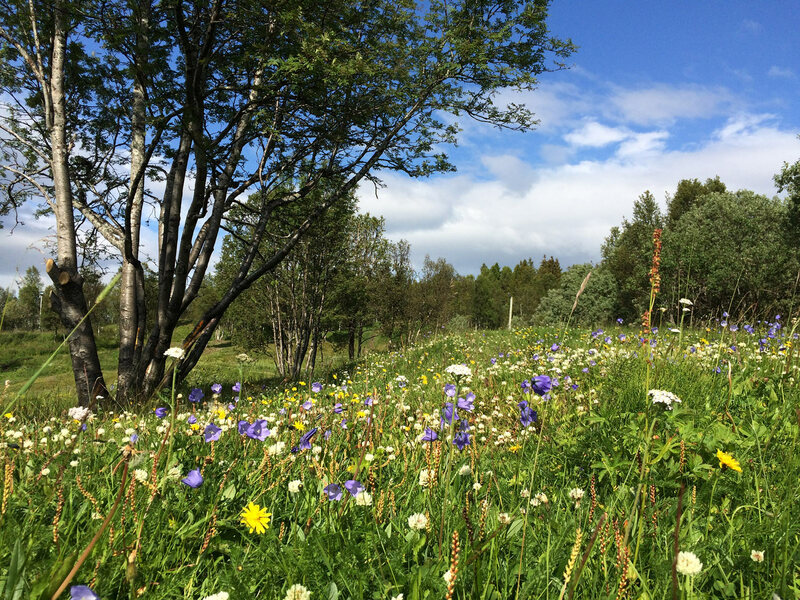 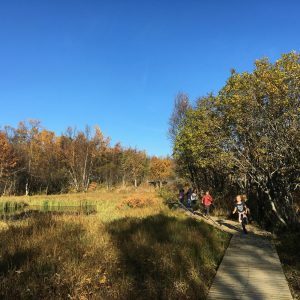 Existing vegetation is preserved as climate plantings both in the central area all the way around the periphery framing the park as an inviting space – a clearing in the forest meeting the edge of the subarctic city of Tromsø. 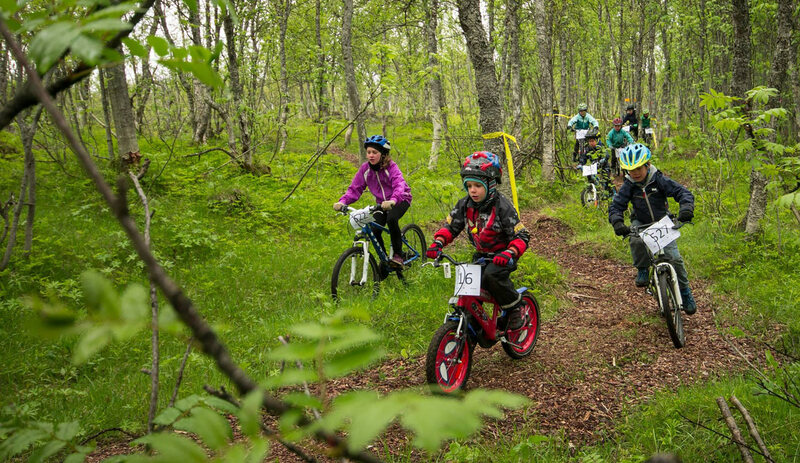 Other partners: Bydrift 2 / “Slottet”, Sør-Tromsøya community service, Tromsø cycle club ++.